The arts have given me so much: a life, happiness, and purpose. As an artist living and working in New York, it is very important to me to give back to my community and to the world we live in. In seeing the pure devastation typhoon Haiyan has had on the Philippine Islands, I knew exactly what I could do to help. I've reached out to my community of artists and engaged dancers, singers, musicians, painters, photographers and more to help. World Food Programme is a worldwide organization invested in feeding those in need. By raising just $12,500 we can provide 50,000 meals to the hungry and displaced victims in The Philippines. 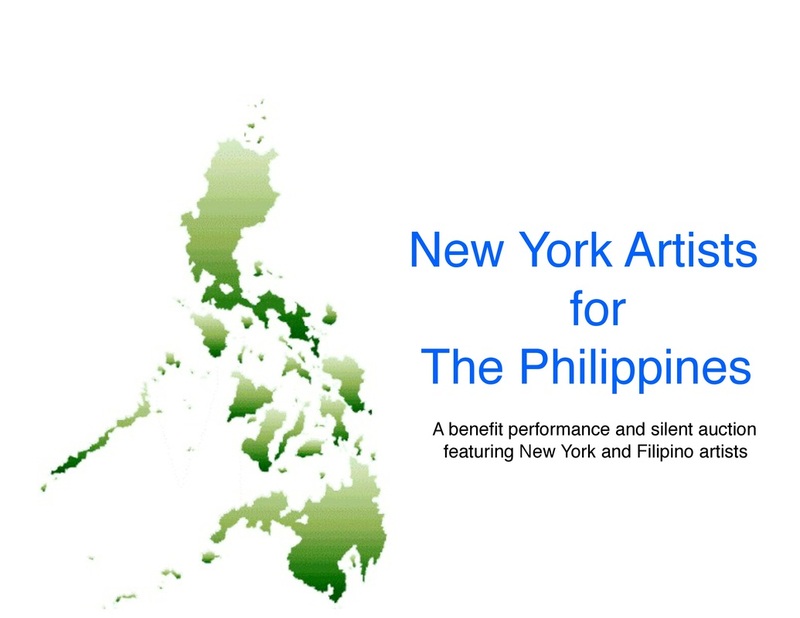 On December 30th, artists from New York will come together for an evening in honor of the survivors and in memory of the victims of typhoon Haiyan. Dancers and vocalists to include Stella Abrera*, Isabella Boylston and James Whiteside of American Ballet Theater, Ashley Bouder, Amar Ramasar, Gina Pazcoguin*, Lauren King, and Anthony Huxley* of the New York City Ballet, Kirven Douthit-Boyd, Antonio Douthit-Boyd, and Daniel Harder of Alvin Ailey American Dance Theater, Blakeley White-Mcguire of Martha Graham Dance Company, Tiffany Mangulabnan* and Clifford Williams of Ballet Next, Bennyroyce Royon* of Bennyroyce Dance Productions, Angelo Soriano* of Flashdance! The Musical, Diane Phelan*-Broadway performer, Michael Trusnovec and Jamie Rae Walker of Paul Taylor Dance Company, Rogelio Peñaverde Jr., San Lorenzo Ruiz Choir of New York, Mica Bernas*- contemporary dancer, Angelica Stiskin- contemporary dancer, and Terra Firma Dance Theatre. 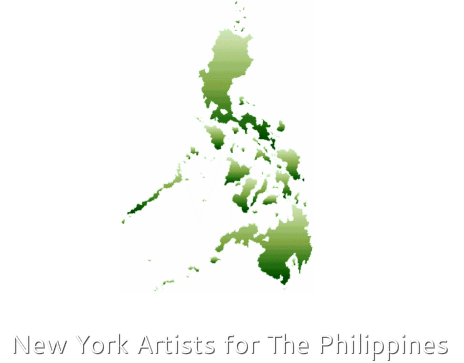 New York producer, Rose Caiola has donated her off-broadway theater, Manhattan Movement & Arts Center to house both the performance and reception. Brooklyn Brewery and Mescal maker Doña Sarita have donated spirits for the evening, including a specialty cocktail for the event. The silent action includes items from photographers Henry Leutwyler, Seth Casteel, and Rodell Astudillo*, as well as items from Amanda Selby, Tommasso Nelli and from the dancers.